You can’t think of Pac-Man without Ms. Pac-Man, and now, the Pac-Man with the bow is now on the iPad. You can relive your arcade glory days in practically full size. The interface even gives you the bottom bar, reminiscent of the physical arcade version. 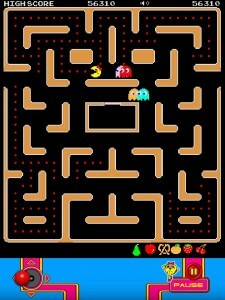 Now there isn’t anything new to Ms. Pac-Man with the iPad version. In fact, there is actually less than the iPhone version. 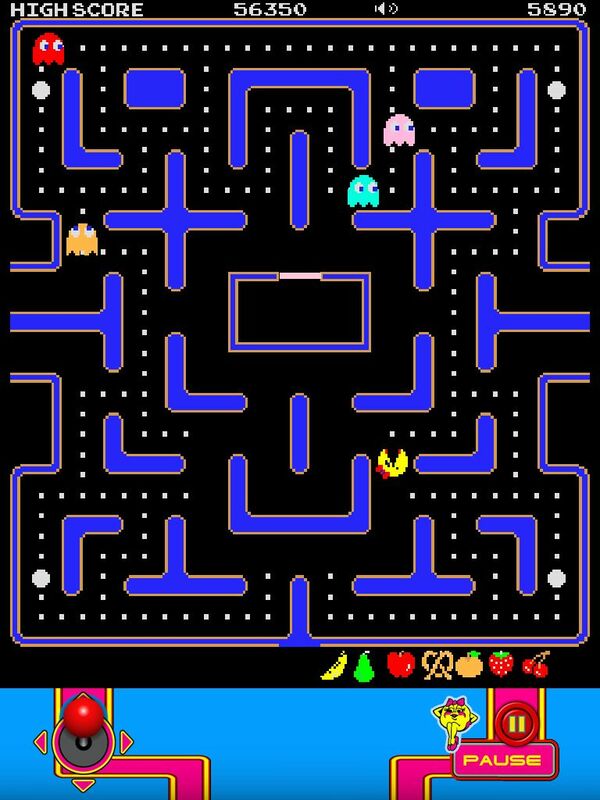 There is even less than the iPad version of regular old Pac-Man. 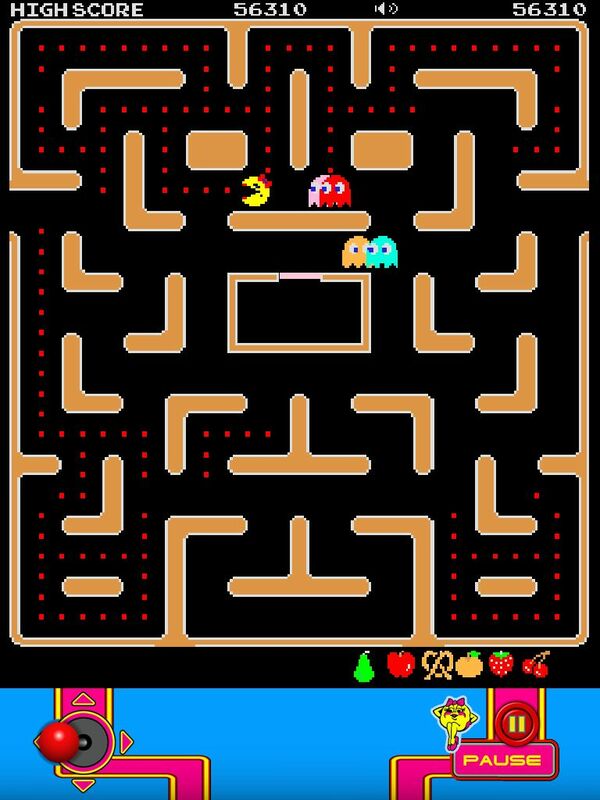 Ms. Pac-Man also doesn’t allow for rotation, so you can only play in portrait mode. 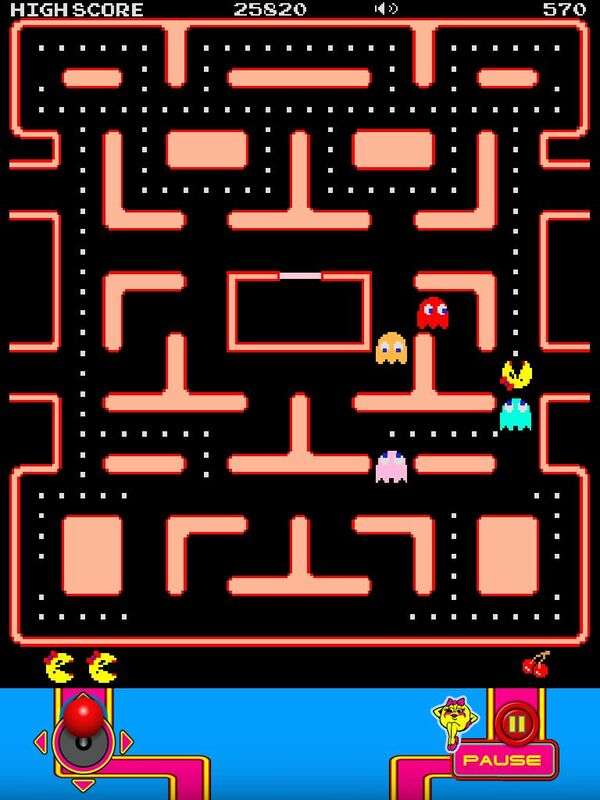 Pac-Man does allow for landscape gameplay, but sadly, not Ms. Pac-Man. 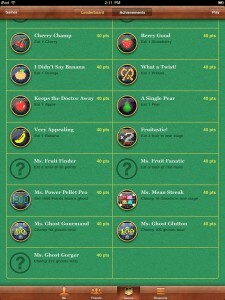 Game Center online leader boards and achievements were missing until a new update that was released last week. 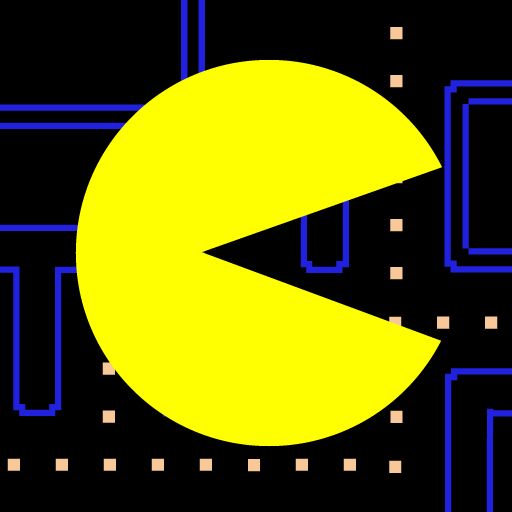 The digital age of the Pac-Man series was made for comparing scores online. Internet connectivity is an essential addition to the arcade classic, and it’s great that Namco finally added it in. It is, however, unfortunate that you can't view the leader boards or achievements in game. 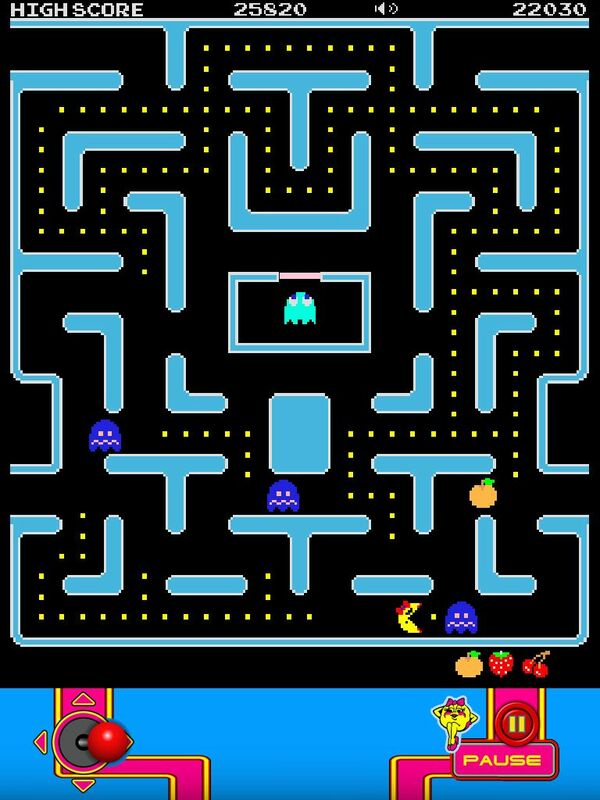 The graphics of Ms. Pac-Man aren’t as finely polished and redone as in Pac-Man for iPad. 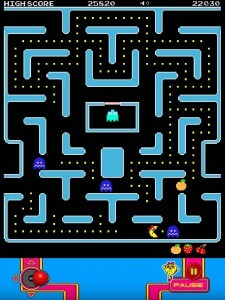 Pac-Man offers very smooth visuals that have been updated from the 8-bit version arcade days. 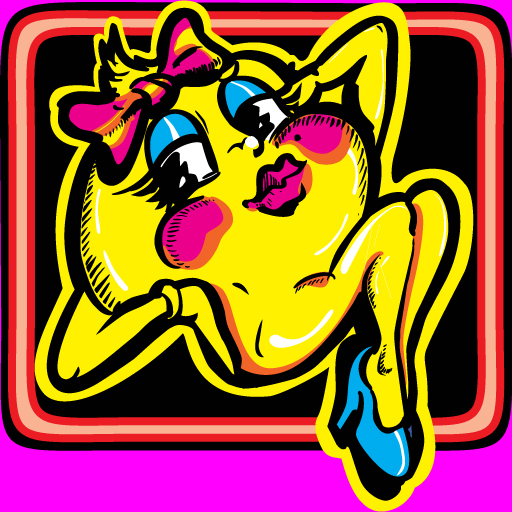 Ms. Pac-Man, however, still seems to look just like the old arcade version. The speed is a major downfall as well. There are three different game modes that should adjust the speed. They all feel slow, which makes the game less enjoyable. 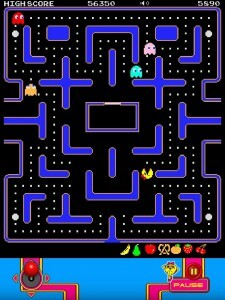 The original mode in Pac-Man offers a great speed boost over the other two modes, but it’s not included in the Ms. Pac-Man version. All versions of Pac-Man could use an extra mode similar to the optional speed chip in the arcade models. Ms. Pac-Man just doesn’t feel complete. It’s not like Namco is incapable of making these features. 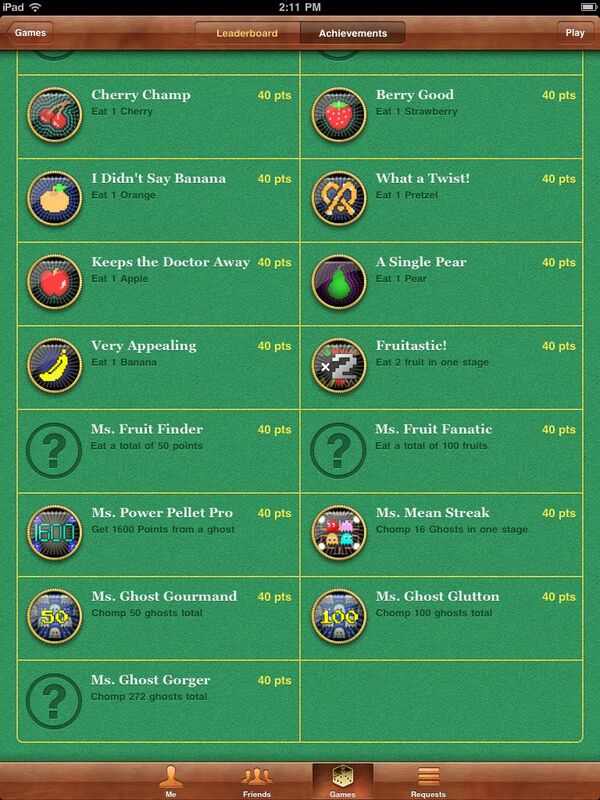 They’re all included in Pac-Man for the iPad, but for some unknown reason, they were not transported to Ms. Pac-Man. The same engine and feature set of Pac-Man, with a Ms. Pac-Man theme would have been great. The iPad version is not all bad, though. The swipe controls are outstanding on the 9.7” screen, especially compared to the iPhone. It really is a breeze to control, and perfectly made for the touch screen. The controls make it that much easier to maneuver through the changing level layouts. There are still a couple of instances where the controls can lead to your demise. There are a couple great things from the iPhone version that did make the transition. You can continue a game after losing all your lives. You can also start a new game, and pick up at any level you’ve reached. That way you can choose to start from level 10 instead of the beginning. 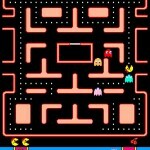 Ms. Pac-Man for iPad ($4.99) is a great arcade game even though it is missing a couple of features. For now, it’s worth considering, depending on how big a fan you are. 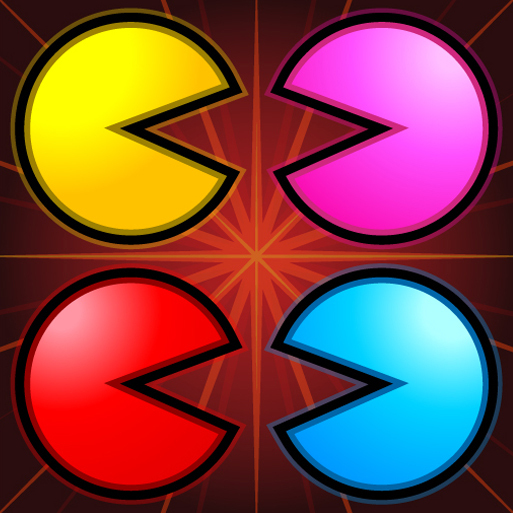 Namco needs to align Ms. Pac-Man for iPad closer to Pac-Man for iPad. Until then, the $5 price tag just won't seem worth it for everyone. The Game Center update is nice, and hopefully is the first in a series of future updates.